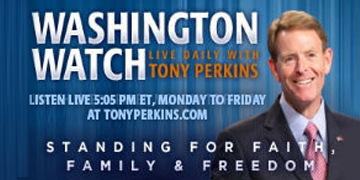 On Wednesday’s edition of "Washington Watch with Tony Perkins" Washington Watch producer, Russ Jones, guest hosts for Tony. Rep. Andy Biggs (R-Ariz.) joins our guest host to discuss the GOP’s coming switch from majority party to minority party and what they’re doing before the change is made in January. Former Vanderbilt University professor, Dr. Carol Swain, is here to highlight CNN’s latest shame campaign – this time white women who supported Trump are their target. Director of Civil Rights for the Unborn and the African American Outreach of Priests for Life, Dr. Alveda King, joins Russ on the eve of Thanksgiving to share what the holiday means to her. Also, Bill Federer, president of Amerisearch, joins the program to talk about what it means to give thanks and what our founding fathers had to say on the subject.